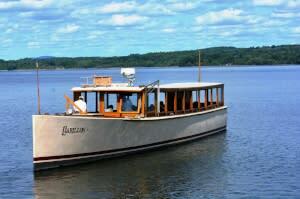 Skaneateles, N.Y. – For more than 15 years, John Hawbecker, of Salem, S.C., has made the 850-mile drive to Skaneateles with his 1959 Chris-Craft ski boat, Infatuation, in tow to exhibit at the Antique and Classic Boat Show. This year will be no different. “My wife and I love this show—it has the best entertainment and the friendliest people,” said Hawbecker, who attends several shows a year across the country. Hudson Valley rivers and lakes are prime destinations for outdoor recreation. 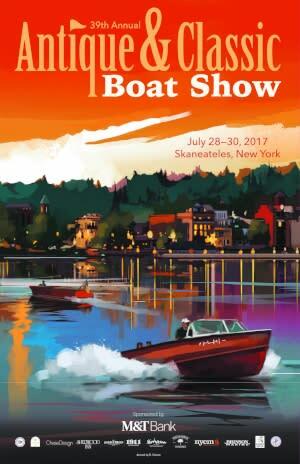 Skaneateles, N.Y. – Gleaming wooden boats of a bygone era, old-time tunes to serenade visitors, family fun in a charming, picturesque village. It’s classic Americana. 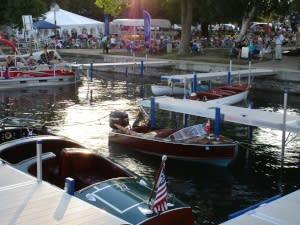 All that and more await you at the Skaneateles Antique and Classic Boat Show, July 28-30. The show, featuring some 90 boats displayed on water and land, runs 3 p.m. to dusk Friday, 9 a.m. to dusk Saturday and 8 a.m. to 3 p.m. Sunday in Clift Park. Admission is free. Ticonderoga, N.Y. – A boat tour aboard Fort Ticonderoga’s 60-foot Carillon not only provides visitors with breathtaking lake views of commanding mountains and the majestic fort, it also crosses some of the most archaeologically rich waters in North America. This latest attraction at Fort Ticonderoga, a major cultural destination, museum, and National Historic Landmark located in New York’s 6-million-acre Adirondack Park, offers passengers a unique travel experience. The 90-minute tour available daily Tuesday through Sunday features Ticonderoga’s epic story of one of North America’s most strategic strongholds and places the iconic fort into a larger context as part of the imperial struggle for the continent in the 18th century. Governor Andrew M. Cuomo today unveiled a series of celebrations and events being planned across New York State to celebrate the 200th anniversary of the Erie Canal. An engineering marvel that stimulated trade, exploration and invention, the canal project created the first superhighway across New York, connecting Albany and Buffalo and improving transportation to and from New York City by linking the Hudson River to Lake Erie. Waterford, N.Y. – As New York celebrates the 200th anniversary of the building of the Erie Canal in 2017, amateur and professional photographers are invited capture the canal corridor’s distinctive sense of place for the 12th annual Erie Canalway Photo Contest. 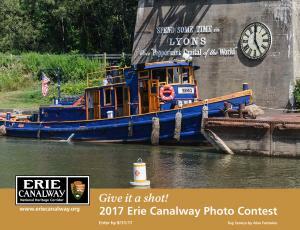 Winning photos will be featured in the 2018 Erie Canalway calendar. Images should convey the wealth of things to do and see along the waterway and express the unique character of the canal and canal communities. 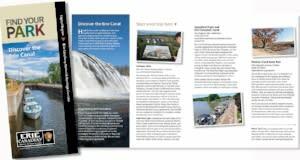 Waterford, N.Y. - As the NYS Canal System gets set to open on May 19, Erie Canalway National Heritage Corridor has released nine new itineraries to lead people to great places and experiences along the Erie and Champlain Canals. The itineraries showcase some of the best historic sites, national and state parks, museums, and recreational experiences and are suited for weekend and day trips. Suggestions for cycling, hiking, paddling, and canal tours, as well as nearby places to eat or picnic are also included. 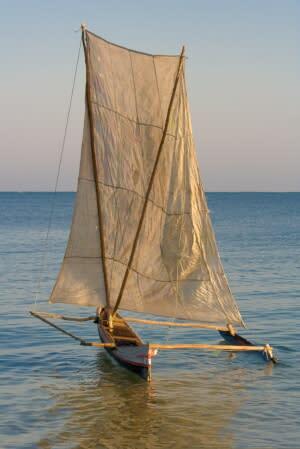 Southampton, N.Y. – The Southampton Historical Museum is now offering a one week maritime themed summer camp program at Conscience Point and this program is for children 9 – 14 years old! You can choose to sign your child up for one or both of the programs. The morning program is on the Physics of Sailing and all those young sailors who sign up will be turning canoes into sailing canoes. The afternoon program is all about Oceanography where those who sign up will spend the week learning all about marine chemistry, biology, ichthyology, and more! These programs will be run by Josh Belfry, Captain of Sea Scout Ship 908. Plattsburgh, N.Y.-The City of Plattsburgh, Lake Champlain Sea Grant and New York Sea Grant are hosting a Lake Champlain Maritime History Program from 6:00 pm to 8:00 pm on Tuesday, March 28, 2017, at the Plattsburgh City Hall auditorium. Admission is free. A brief reception will be held from 6:00 pm to 6:30 pm with the opportunity to tour the Great Shipwrecks of NY&apos;s ‘Great&apos; Lakes exhibit spanning more than 200 years of maritime history across New York State waters in the second-floor atrium, adjacent to the auditorium. Syracuse, N.Y. - The U.S. Coast Guard Auxiliary and New York Sea Grant have announced Saturday, February 18, 2017 as the date for the Young Boater Safety Certificate training course at the 2017 Central New York Boat Show. The program will run from 9 am to 5 pm at the Horticulture Building classroom at the New York State Fairgrounds in Syracuse, NY. Pre-registration is required for the limited space seating for the course that will be taught by U.S. Coast Guard Auxiliary Flotilla 21 personnel. New York Sea Grant is taking registrations by phone at 315-312-3042.